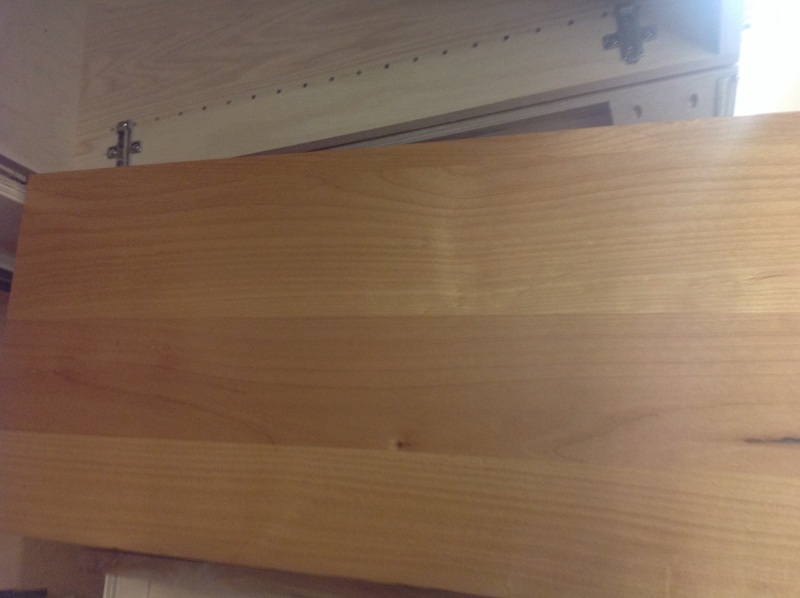 Variation in the grain to the left of the picture right side of pantry looks like cherry to me. Looks like cherry to me also. When I look at the grain on the left stile of the door, I'd say alder, but when I look at the grain on the pantry panel, that's what looks like cherry. 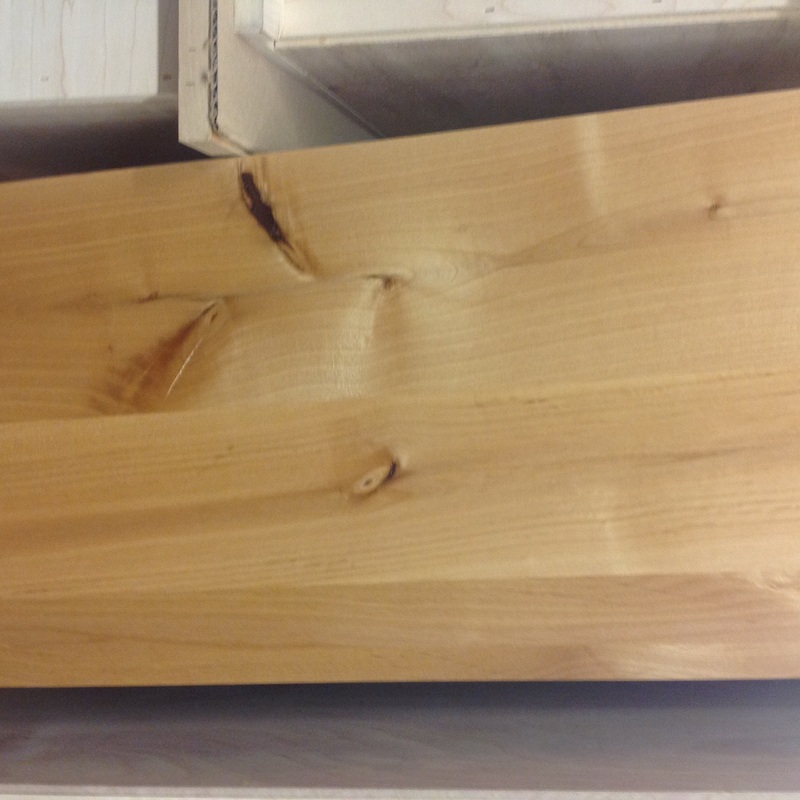 I haven't seen a grain pattern like that in alder. I guess the more important question would be what species would best produce these color values? For this project I am thinking alder would be a good choice. The goal is to produce something that will develop patina over time and not turn terribly dark. Cherry is generally a higher performing wood for kitchens because it is relatively closed grain and modestly tough but can get a little dark and somber over time. Maple is too bright and a bit too modern for what we want to accomplish. Alder being indigenous to the area is another good reason to go this direction. But I think I will also look at red birch. How is this for stability or machining? Could this be bleached cherry?? I almost wanted to say alder but looks too much like cherry to me. I am always amazed when a customer wants clear alder for a kitchen...it is too soft and will dent and scratch too easily with time. The blotching makes me think it's alder or birch. Although could be maple too. You can right click on the picture and search google for "Images like this". The builder of the cabinets says they are Red Birch. Good call Dan, and Kudos to KTD for settling this question. 100% it's red birch. I've built many cabinets with it. I think it's beautiful wood won't darken like Cherry and much harder than Alder. No stain just clear oil or solvent based finish, water base will not bring out the beauty of the grain. Maybe my screen isnt great but looks to light for cherry more like maple nice wook any how. Hard to tell from a picture. Age makes a difference. 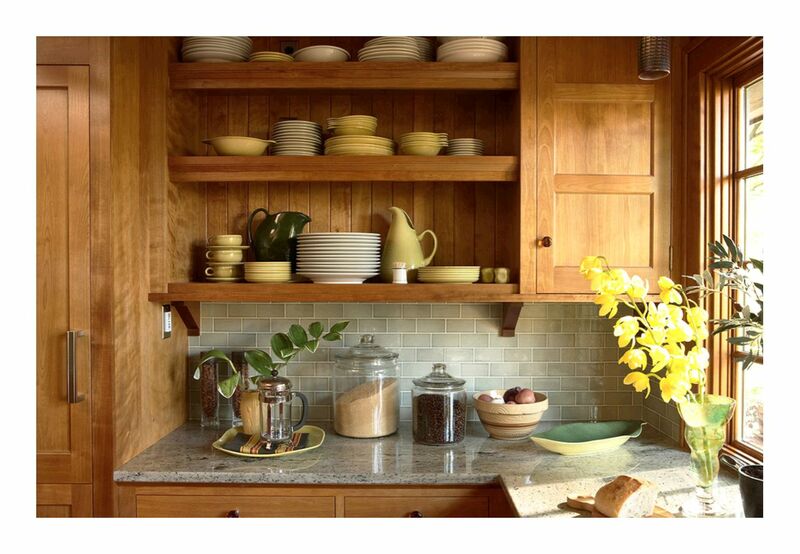 If it's 40 yrs old or older, they didn't use alder to make cabinets. They used a lot of birch and a lot of cherry.